Maria Gaspar, Almost True (durational sculpture inflated and deflated every two minutes), 2011. 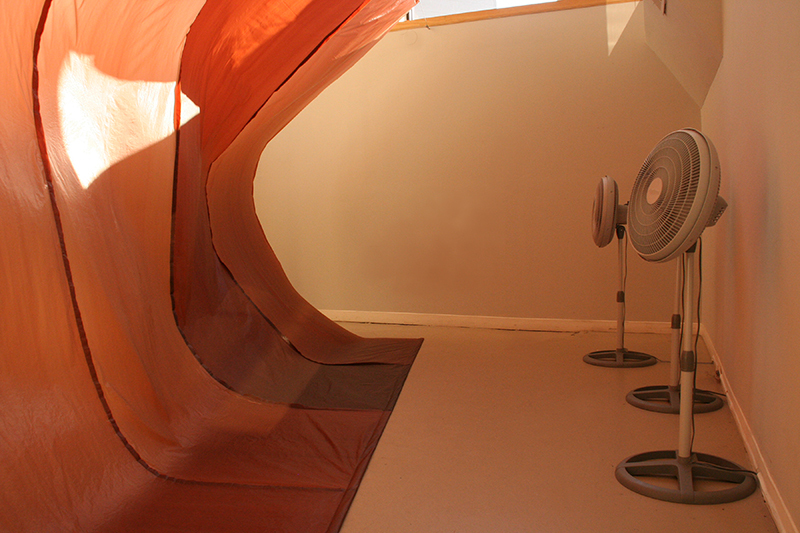 Plastic, thread, steel armature, fans, air, 20 x 15 x 5 ft. ©Maria Gaspar. Courtesy of the artist. Maria Gaspar, Brown Brilliance Darkness Matter, 2016. Installation detail at the National Museum of Mexican Art in Chicago. Woven Collage on Digitally Printed Dye Sub Fabric, White Stoneware, Cone 6, Oxidation, Brown Overglaze, Acapulco Furniture, 2016, Photo Credit: Sara Pooley. Courtesy of the artist. With an interdisciplinary social art practice, Maria Gaspar’s artistic interventions range from installations, sculpture, sound, performance and participatory actions that consider contemporary issues of visibility, isolation, belonging, space and place in the global city. She was born and raised in Chicago’s Little Village to parents who arrived in Chicago from Mexico in the 1960s. As a child, Gaspar was inspired by her mother’s creative life, which encompassed stints as a neighborhood clown, elementary school assistant teacher, radio DJ, and journalist with community programs geared towards women. Growing up, Gaspar participated in art programs for high school youth in Chicago. Settling for an art career, she attended Pratt Institute in Brooklyn, New York, majoring in painting with a minor in art education. Influenced by artist and professor Ernesto Pujol’s interdisciplinary and performance practice, she started working with larger concepts of critical engagement that considered the meaning and role of art. Pursuing an MFA at the University of Illinois at Chicago in 2007, she calibrated her artistic voice to address the poetics of power, space, disempowerment, and dislocation. Interested in public interventions and the use of the body as a political site, Gaspar’s art practice has also explored narratives, institutions, archives, and memory. 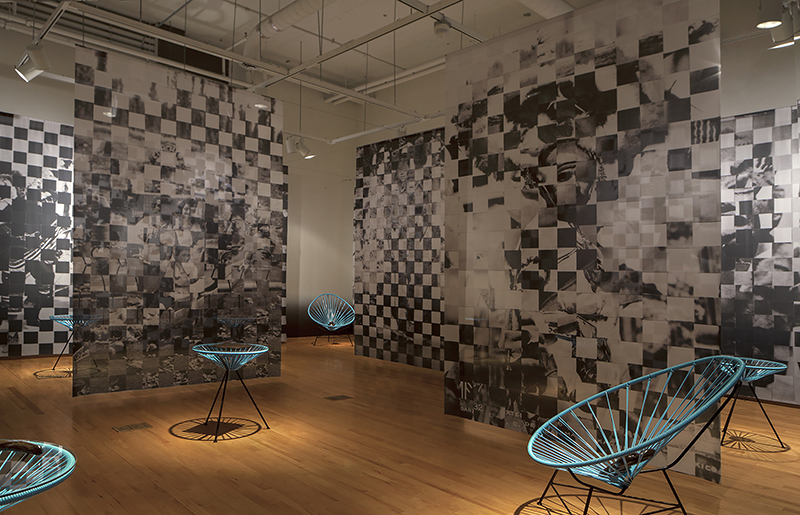 In the installation Brown Brilliance Darkness Matter of 2016, she utilized images from the archives of the National Museum of Mexican Art in a display of art and performance to address borders, immigration, detention centers, the brown body, and brown brilliance. Since 2012, Gaspar has directed the community engagement 96 Acres Project and guided its artistic interventions at the site of the Cook County Jail: addressing mothers’ incarceration, the impact of incarceration on families, and the disproportionate incarceration demographics of black, and brown people. Gaspar is the recipient of many distinguished awards and fellowships.